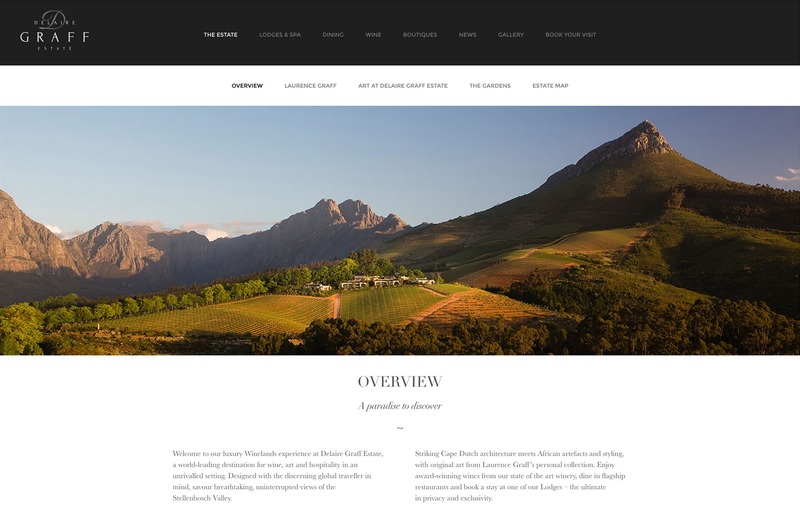 Owned by Laurence Graff OBE, Chairman of Graff Diamonds, the Delaire Graff Estate is a world-leading destination for wine, art and hospitality nestled in the majestic mountains of the Banhoek Conservancy and overlooking the vineyards of Stellenbosch in South Africa. 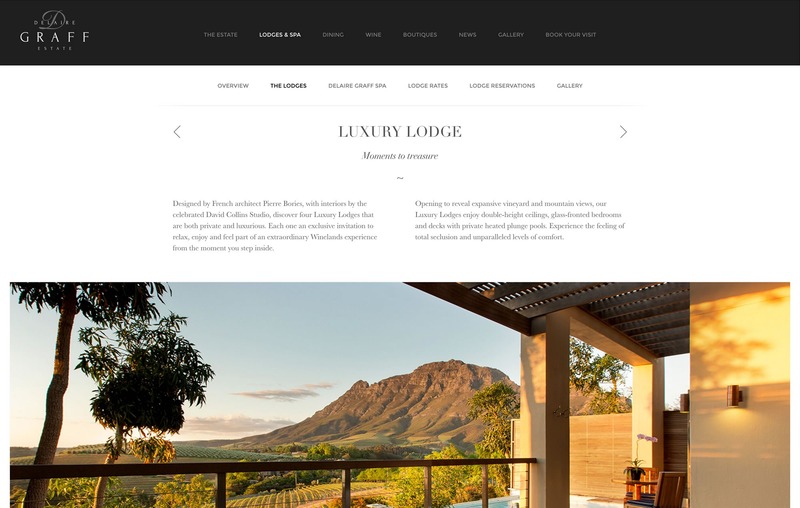 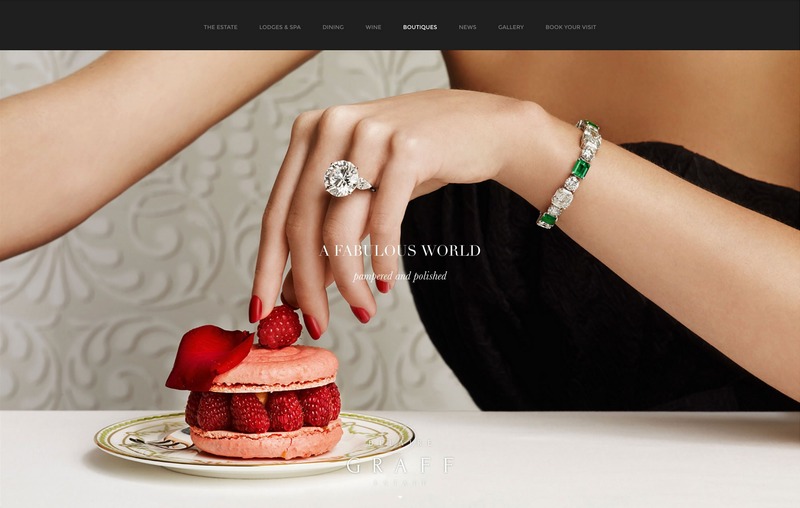 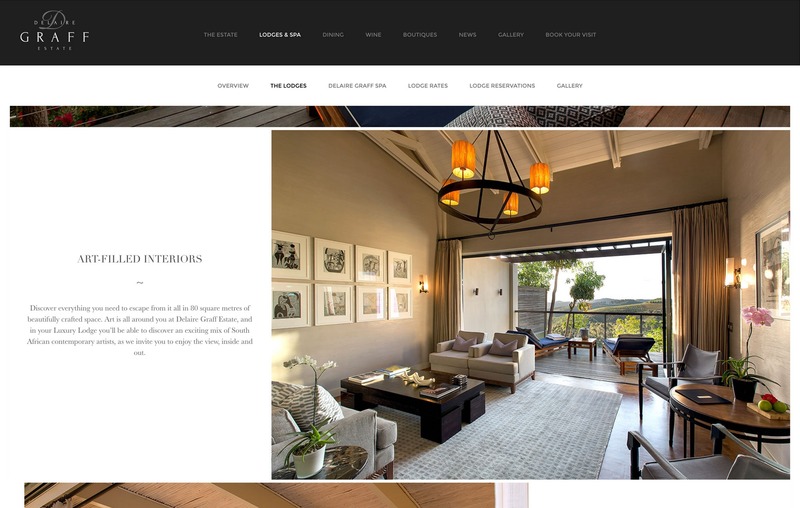 We were appointed to create a dramatic new web site for the estate, communicating the range of unique features from the exquisite lodges, vineyards, restaurants and boutiques. 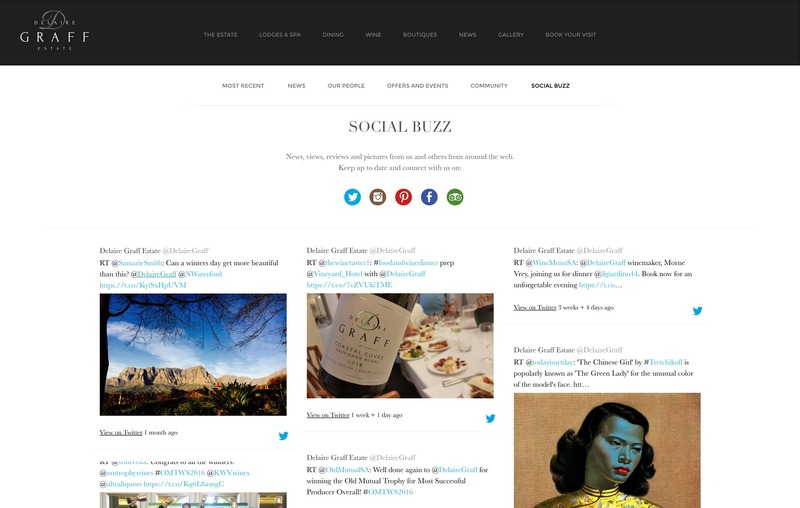 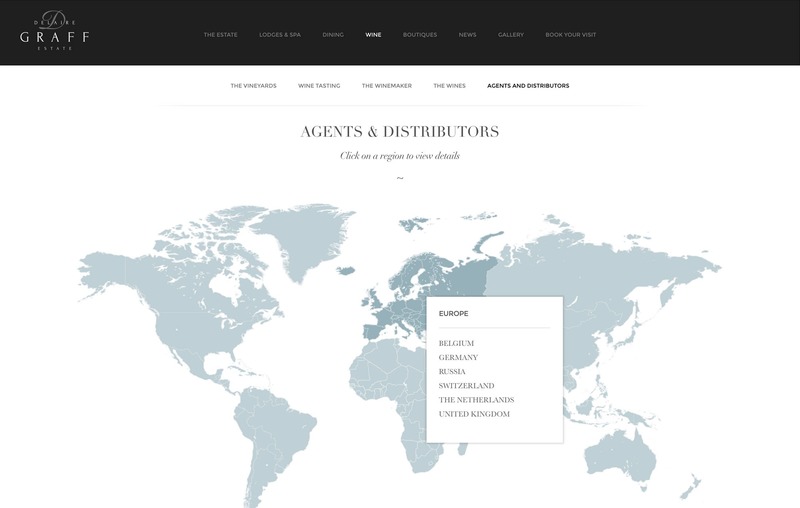 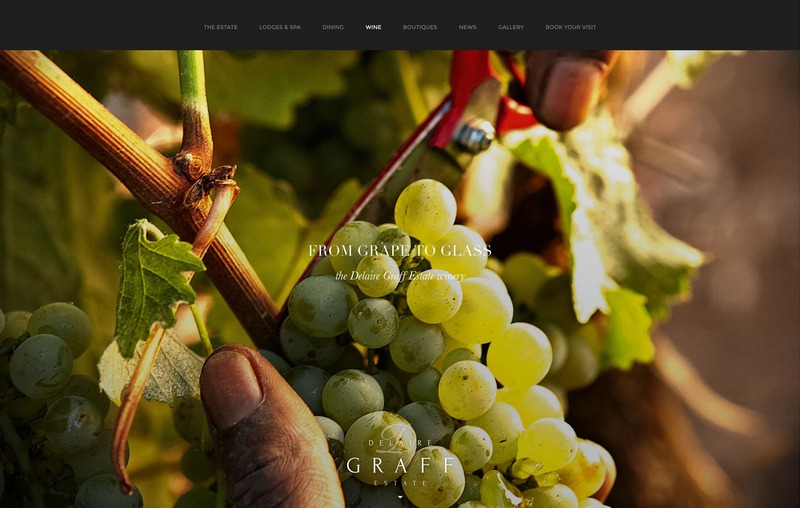 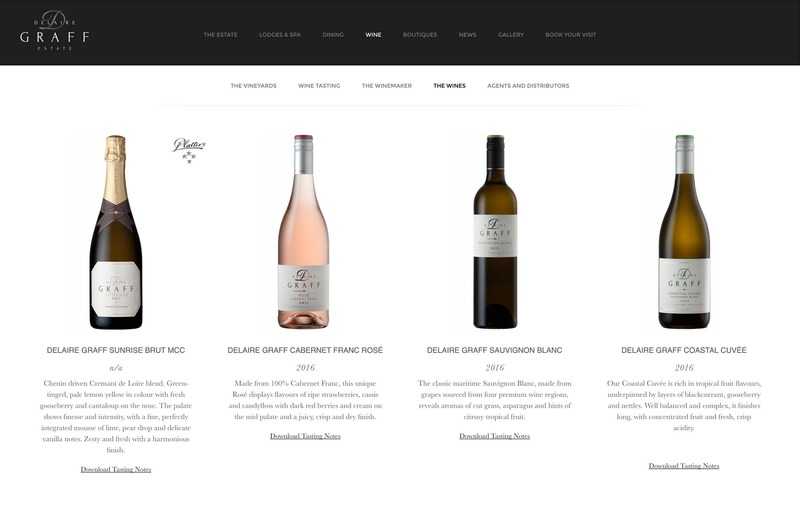 The new site showcases their award wining wine and provides details of distributors worldwide and also features a handy ‘Social Buzz’ section where we bring together their various activities across the social web into a dedicated section of the site. 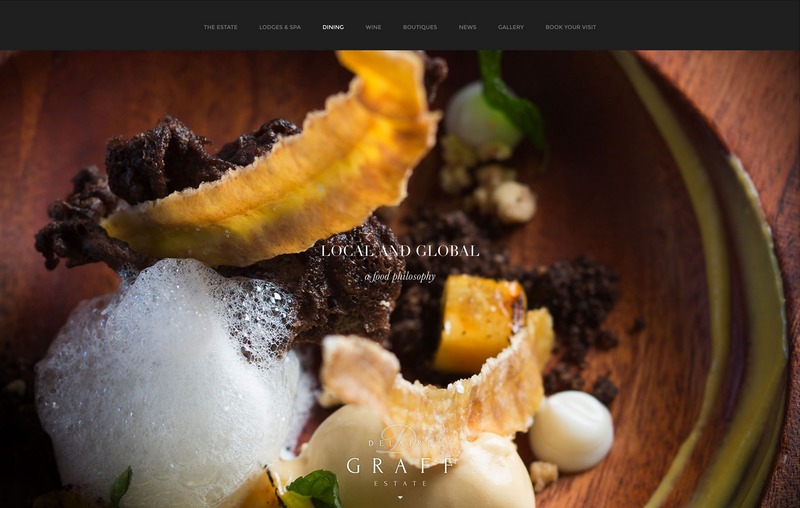 In addition to the web site, we created new branding for the Delaire Graff Restaurant and a range of printed collateral including the Estate Brochure, Estate map and menus.